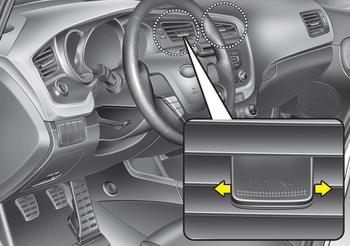 Air can be directed to the floor, dashboard outlets, or windshield. 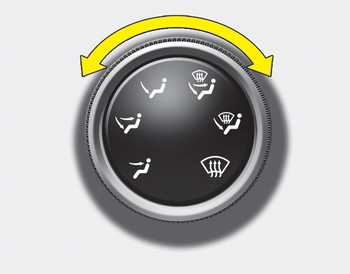 Six symbols are used to represent Face, Bi-Level, Floor, Face / Floor / Defrost, Floor / Defrost and Defrost air position. 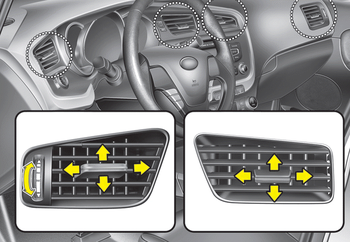 Most of the air flow is directed towards the face, the floor and the windshield with a small amount of air directed to the side window defrosters.